“It isn’t how you start, it’s how you finish,” says Robert Henderson, one of two African-American teenage boys whose hard-won journey from the South Side of Chicago through high school graduation and four years of college drive the five-year timeline in All the Difference. The powerful 90-minute documentary, filmed by Emmy® Award-winning producer/director/cinematographer Tod Lending, premieres tonight, September 12, 2016, on the PBS series, POV (10:00/10:30 p.m. ET. Check local listings for variable start times and air dates in your region). Tod Lending’s five-year focus on two young men in All the Difference has more than a little in common with Michael Apted’s trailblazing UP documentary series and Richard Linklater’s acclaimed drama, Boyhood, reviewed here in previous posts. Chicago-based Lending, who has also followed former subjects for one-plus years (Omar & Pete and The Principal Story), commits to a longer haul in All the Difference. Here he documents the aspirations, roadblocks and support systems that impact African-American teenagers Robert Henderson and Krishaun Branch as they strive to beat the odds and dodge drugs, gang life, prison and an untimely demise on the streets of Chicago’s South Side to become the first in their families to graduate from high school and attend college. 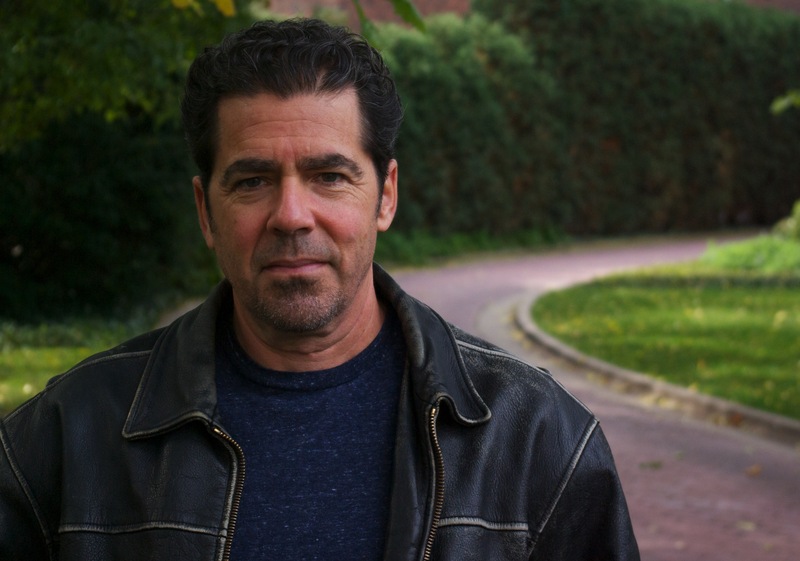 Award-winning producer, director, cinematographer Tod Lending documents the personal and academic struggles faced by two African-American teens in ALL THE DIFFERENCE. Photo courtesy Wonjung Bae. While Robert and Krishaun possess different skill sets, strengths and weaknesses, they are both products of broken families horribly shattered by violence and poverty. They’ve grown up in a community where if you’re a young black man and have survived the lure of gang indoctrination and live to celebrate your 18th birthday, you’ve hit a celebration-worthy milestone. Robert and Krishaun do share more than one positive asset. They are remarkably resilient and are determined not to be statistics. Both boys attend the Urban Prep Charter Academy for Young Men in Chicago, the first all-boys public charter high school in the country. Within this stringent educational community, administered by a supportive staff of educators and devoid of female distractions, students are encouraged to excel. Robert and Krishaun see their way through to graduation and into colleges of their choice, where a whole new set of hurdles await them, as well as an impressive group of caring professors, advisors and mentors who help the young men stay on track and attain their goals. Krishaun Branch celebrates on his Urban Prep High School graduation day. Photo courtesy Tod Lending. As the fates of young, African-American men continue to be exploited by the news media and one uninformed, headline-grabbing Presidential candidate who continues to paint the African-American community with a broad negative brush, All the Difference makes for a timely, refreshing antidote. Yes, we come face-to-face with Robert and Krishaun’s fears and tears rooted in the legacy of their broken families, gut-wrenching poverty and threats of gun violence in their “hood.” But we also witness the positive pivotal roles played not only by their care-givers (Krishaun’s hard-working single mom and Robert’s feisty elderly grandmother), siblings and neighborhood pastor; but also by their dedicated educators (principals, coaches, guidance counselors and advisors, teachers and professors). It’s clear that mentors wear many hats and are key to Robert and Krishaun’s survival and success. Often on the brink of quitting, Robert and Krishaun pull back from the precipice armed with their educators’ problem-solving skills and the determination not to let their loved ones down. All the Difference is proof positive that it does in fact take “a village” to raise a child well, no matter what the child’s race, sexual orientation, religion, or economic situation. Resilience can be taught and innate talents can blossom with a little help from individuals who step up to the plate and show, by their example, how to transcend hopelessness with hope. 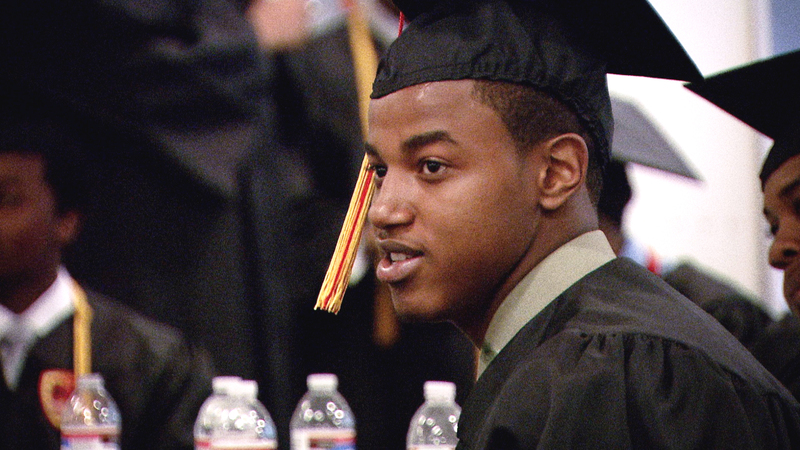 Krishaun Branch returned to his Chicago high school, Urban Prep, to encourage students by his example. Photo courtesy Tod Lending. Bravo to Robert Henderson and Krishaun Branch for never giving up and for giving back in their subsequent endeavors and professions, and to filmmaker Tod Lending for bringing us their uplifting life stories. 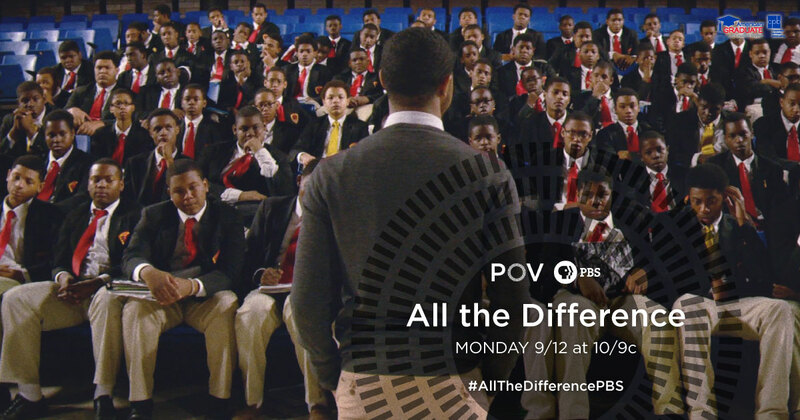 The premise of All the Difference was inspired by Wes Moore’s best-selling autobiography, The Other Wes Moore (Random House, 2010), that contrasts the journeys of two fatherless boys who grew up with the same name, in similar Baltimore neighborhoods…one became a Rhodes Scholar and White House Fellow, the other a convicted murderer. Moore and his mother, Joy Thomas Moore, are executive producers of this film. This entry was posted in Education, Film, Publishing, TV and tagged African-American Studies, All the Difference, American Graduate Let's Make It Happen, Krishaun Branch, Men's Studies, PBS, POV, Robert Henderson, The Other Wes Moore, Tod Lending, Urban Prep Charter Academy for Young Men, Wes Moore. Bookmark the permalink. Thanks so much, Diane! Don’t miss it (it has a delayed 10:30 start time tonite on Ch.13), so you might want to DVR it as the final portion of the film is very touching.